Apple and Qualcomm have a complex relationship, in that Apple doesn't directly license Qualcomm's patents involved in this case. Instead, Apple's contract manufacturers Foxconn, Pegatron, Wistron and Compal pay licensing fees to Qualcomm for the use of its patents involved in manufacturing cellular iPads and iPhones. Apple therefore pays for these royalties indirectly as part of the manufacturing costs. However, Apple and Qualcomm do have a contract that specifies that Qualcomm will reimburse Apple with royalty rebate payments, as noted in court filings published by Florian Mueller of FOSSpatents. In September 2016, Qualcomm stopped making these rebate payments to Apple, a move which Apple alleges came in retaliation for its cooperation with a South Korean antitrust investigation into Qualcomm's business practices. Apple subsequently sued Qualcomm over the terms of its licensing practices, arguing that its royalty provisions violate anti-trust laws, U.S. patent law, public policy and Qualcomm's commitment to license its intellectual property on fair, reasonable, and nondiscriminatory ("FRAND") terms. Apple then instructed its manufacturing partners to stop making any royalty payments to Qualcomm until the case was resolved. Qualcomm responded with a lawsuit against the manufacturers that alleges that they violated their contracts. In August, Qualcomm filed a motion seeking to force Apple's contract manufacturing partners to continue making intellectual property royalty payments while those royalty rates were being litigated. Judge Curiel also denied Qualcomm's motion for an anti-suit injunction intended to stop Apple's parallel lawsuits in other jurisdictions. Qualcomm would prefer to have a local San Diego court determine a global royalty rate covering all of its standard-essential patents. Apple would prefer that Qualcomm have the burden of proof in demonstrating infringement, and also face the scrutiny of patent invalidity in each jurisdiction, including China, Japan, Taiwan and the United Kingdom. 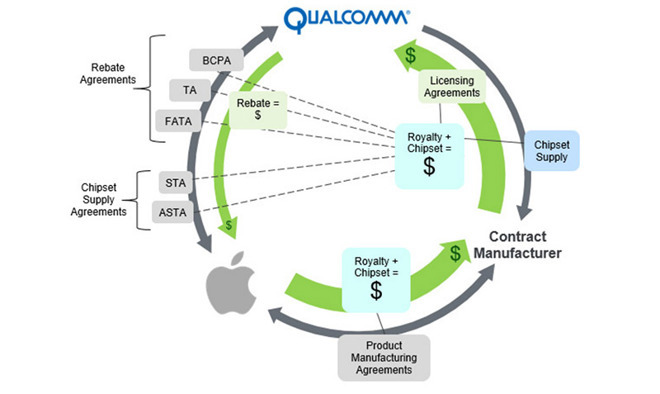 Having lost both injunctions, Qualcomm is incentivized to quickly work to resolve the question of what royalties it is fairly owed by Apple's manufacturing partners before it can get paid anything from sales of iPhones. And at the same time, it faces the prospect of repeatedly fighting Apple in every jurisdiction where they have disagreements, and potentially losing patent rights it can't prove are infringed, or which Apple can prove are invalid. 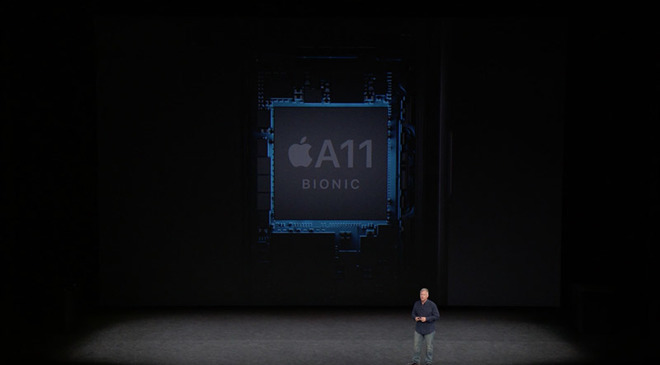 Apple is increasingly developing custom silicon that embarrasses Qualcomm's own components in computing performance, while also partnering with Intel to wean itself off of Qualcomm's modems. On top, Apple is also poaching Qualcomm's top engineering talent in an apparent bid to build its own mobile chips, just as it developed its own camera ISP and GPU architecture. In response, Qualcomm has sought to create a media narrative that portrays Apple as distantly behind in various technologies, in particular the idea that the company's newest iPhone 8 and iPhone X can not support Qualcomm's Gbps LTE. In fact, OpenSignal reported this year that the top US carriers only achieved average LTE download speeds of less than 17Mbps, while the global LTE download average was only 17.4 Mbps. While Gbps networks are slowly being rolled out, the reality is that very fast mobile data rates require using up lots of valuable spectrum. While the technology makes for a great demo and confers bragging rights to the carriers who have claimed to implement it first, in reality spectrum will continue to be allocated to enable hosting the most paying subscribers at lower real-world rates. As Cherlynn Low wrote for Engadget earlier this year, new Gbps LTE technologies can "achieve speeds of up to 1 Gbps in simulations and controlled environments. In the real world, though, speeds are expected to be closer to between 100 and 300 Mbps."